Lights, camera, action Girlicious! In this week’s episode, Tyler and Johnny cover ‘The Björk Stalker’ (Ricardo Lopez) and the Wyrick family haunting. Also, the gals talk about their affinity for Amy Allan and discuss a little, known serial killer that is currently on a rampage through the gardens of Vancouver, BC. Episode 7 – I Got Bangs! To the oubliette, to the wall! 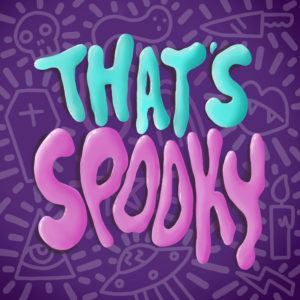 This week Johnny and Tyler recall spooky stories from their childhood: Jerome, The Mystery Man of Nova Scotia and the Hauntings at Leap Castle. Plus a psychopathic AI that’s sure to murder us all! It’s the food and drink episode! On this week’s show, Tyler and Johnny talk about the Rotenburg Cannibal, Armin Meiwes, and the High Priestess of Blood, Magdalena Solís. Plus: finally, a reason to talk about Drag Race and a visit from someone claiming to be Laura Dern. A priest is never sure at night! This week your gay best friends are talking about the Falcon Lake incident and the exorcism of Roland Doe. Plus, a drop-in endorsement from Susan Sarandon and ghost weddings! Show us the receipts! On this very special Halloween episode, Johnny and Tyler cover the absurd story of the Sisman-Platzman murders, as well as the legendary Bunnyman. Plus: the Diva Shelf, Halloween Facts, and for the second time we try to blame serial killings on Lady Bunny! “Do what thou wilt shall be the whole of the Lohan.” On this episode the gays go on about Aleister Crowley’s demon BFFs and Robert the Doll’s apology tour. Also, a surprise visit from Big Ang? Ring, ring! Everything is awful. Today, the gals are talking about the Hmong nightmare deaths and the Weepy Voiced Killer. Plus: emotional pizza, horror movie reboots and lessons in phone etiquette. Good evening distinguished panel of judges. In the inaugural episode, co-hosts Tyler and Johnny discuss the Hammersmith Ghost as well as the death of Jayne Mansfield and her connection to the Church of Satan.